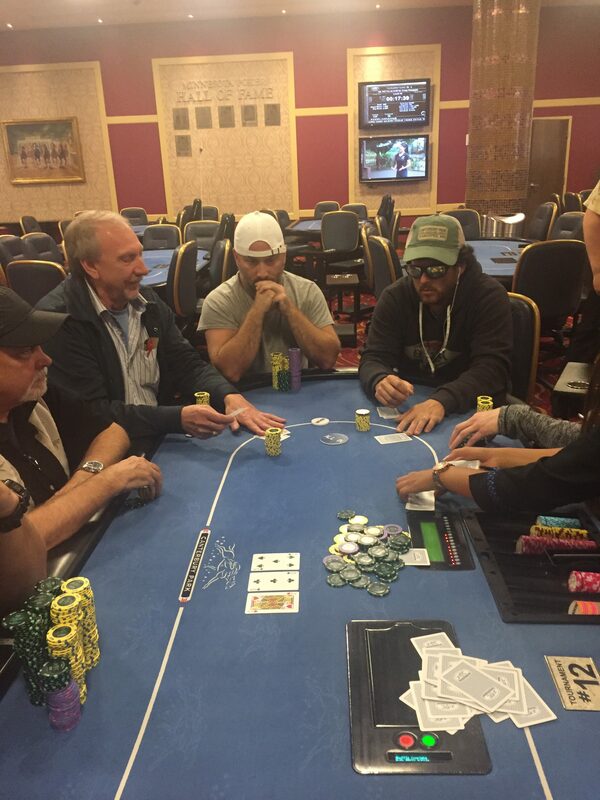 On a 9♠ 9♥ 8♠ flop, Steve Krogness ended up all in against Ben Rock. The turn of a 4♣ was good news for Rock, but an A♠ on the river propelled Krogness’s aces into the winners circle. 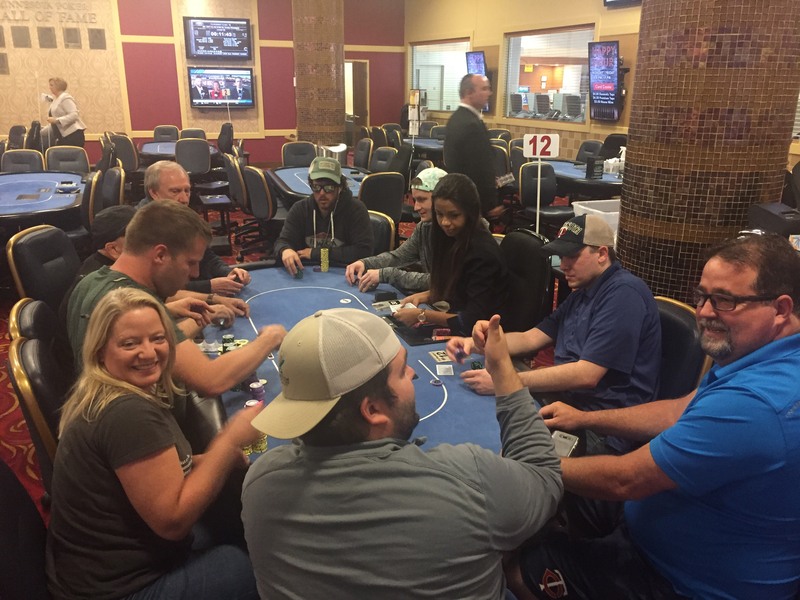 15 players remain as we’re now on break, they’ll be playing 2,500/5,000 500 ante after returning, with an average stack size of 78,000. 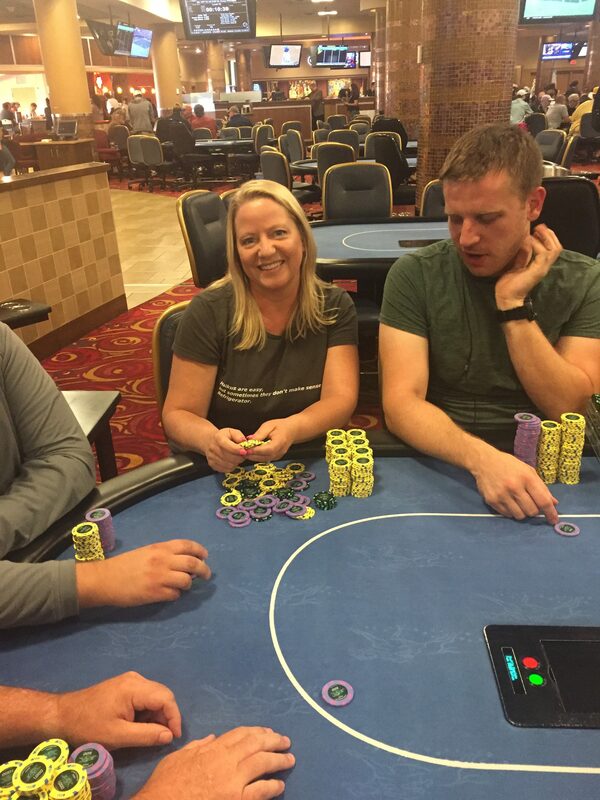 Tracy Stearman, fresh off her 6th place finish in last night’s $250 NLHE “Winners Shown,” is our chip leader tonight with 15 left. The average stack is 78,000, and she’s clocking in right around 200,000. Impressive last two days of poker Tracy, keep it going! 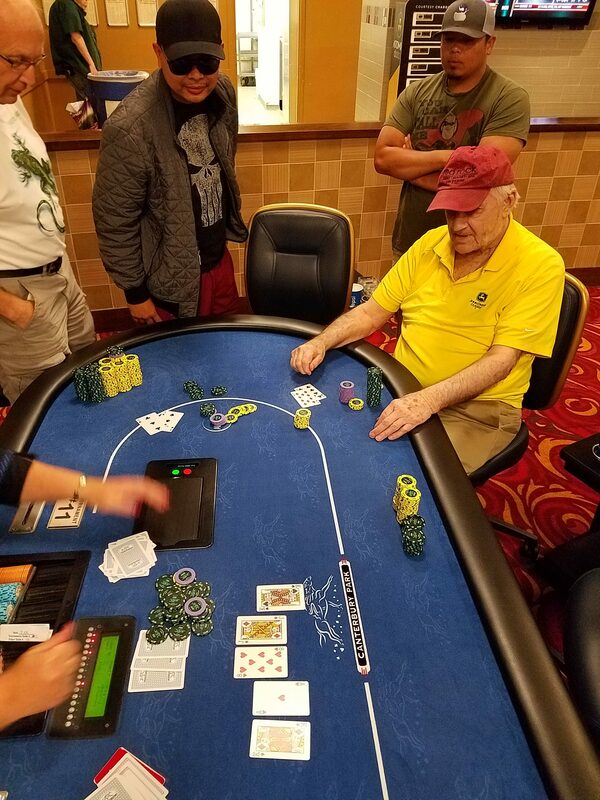 On the turn of an A♥ Q♥ J♥ J♠ board, Jerry Hanson bet the turn, Leo C who is pictured here raised, and Hanson moved all in. Leo C made the call. Leo was able to fade the couple of outs that Hanson had, to double up to around 90,000. Congrats to these 18 players who are all in the money! http://www.piftpoker.com/wp-content/uploads/2017/04/pift-logo.png 0 0 Schneids http://www.piftpoker.com/wp-content/uploads/2017/04/pift-logo.png Schneids2018-07-22 17:40:562018-07-22 17:40:56We're In The Money! 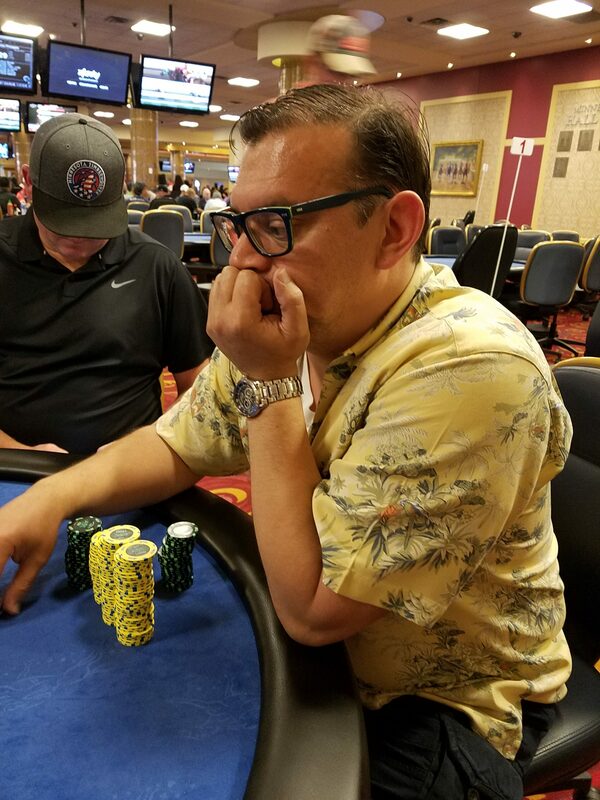 In a 5 way limped pot, while on the money bubble, we saw a J♥ 3♣ 5♣ flop, and Steve Webb moved all in from the small blind with his last 13,700 chips. It folded around to the button, who quickly made the call. After their discards, Webb revealed a Jx 5x for jacks and fives, and his opponent held a Jx 3x for jacks and threes. The turn and river did not change anything, thus Webb secured a key double up. From late position, Kelly Day moved all in for 10,700. He got called by a large stack on the button, and everyone else got out of the day. A 6♣ on the turn and 9♣ on the river meant Day successfully faded his opponent’s flush draw, and he secured a double up to around 25,000. 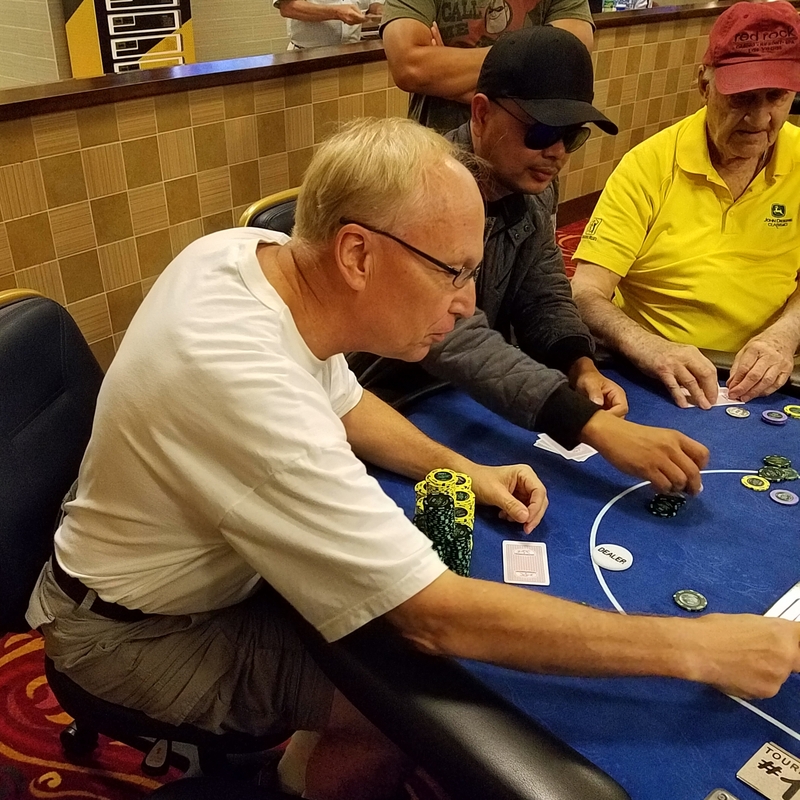 Robert Heng got the last of his chips all in preflop, with Steve Krogness making the call. Black 3’s for Heng, up against Krogness’s pocket tens. A clean board run out sends Krogness up to 45,000 and Heng to the rail, just a little short of the money. 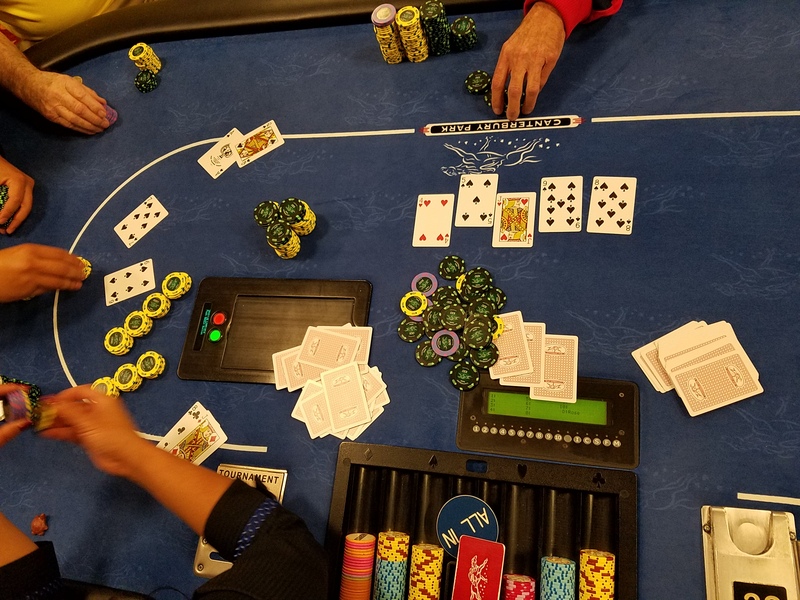 But just to give you a little bit more, all the money went in on the turn, only to bring the mother of all river cards when seat 1 who was Taylor Maas hit 2 pair. Seat 2 with a straight flush, seat 3 ace high flush after runner spades. 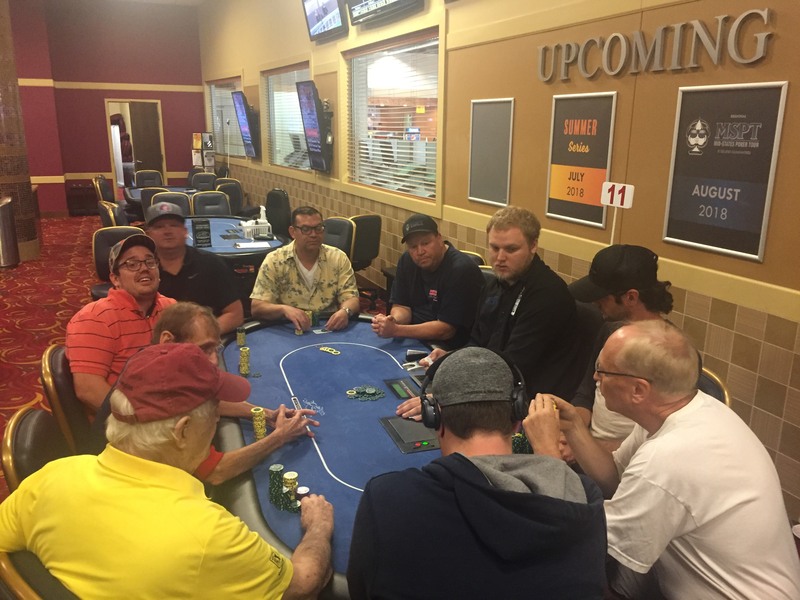 Jerry Hanson in seat 2 takes it down, from Apple Valley. He has 140,000 now. 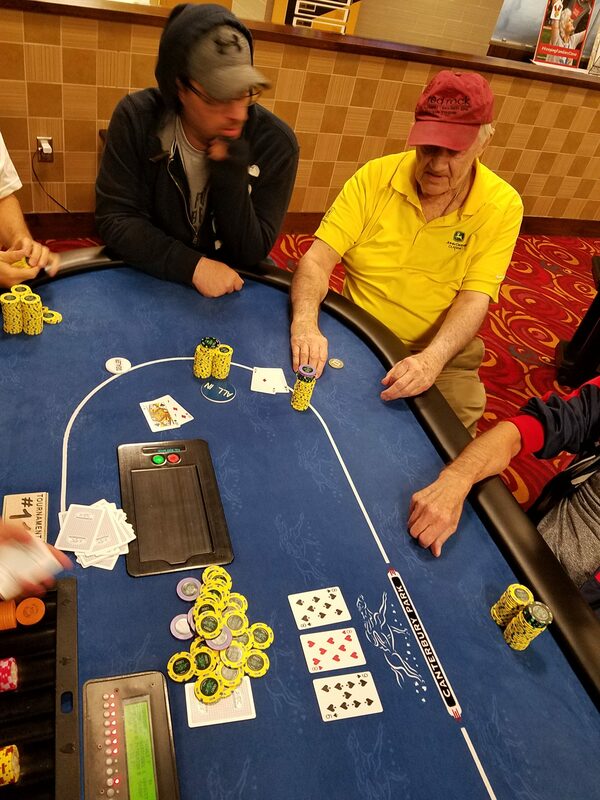 The board ran out clean for Kunkel, and with this nice chip up, he now has 50,000. 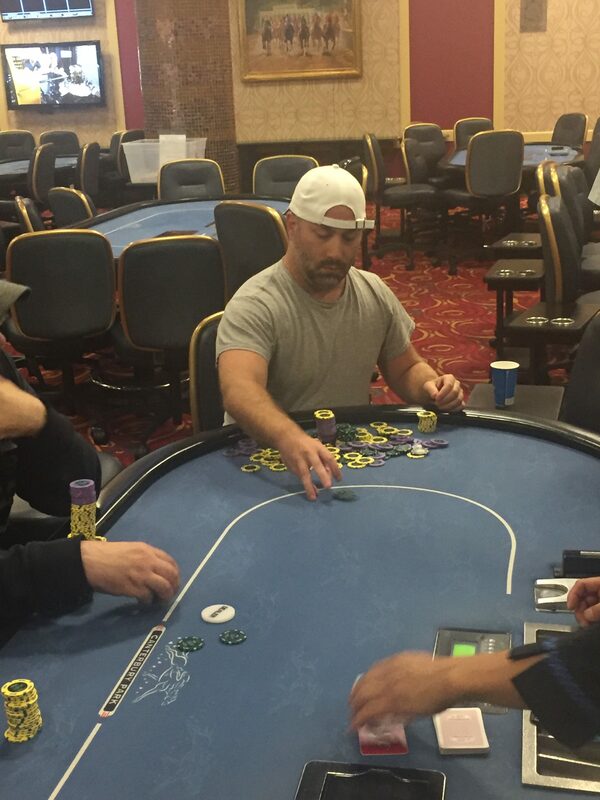 On a flop of J♣ T♠ 4♣, and already about 30,000 chips in the middle, we saw Jason Leurquin move all in from the BB for 55,700. His opponent, who had him covered, made the call after about 15 seconds. An 8♥ and Q♥ run out ensured a massive double up for Leurquin.